Timber cladding provides a wealth of design opportunities for homes and buildings. As a material, nothing compares to its diversity in how it can be used to contribute to building designs. Not only does it provide economic and environmental benefits, but it also provides a durable, sustainable and versatile solution for buildings of any size. 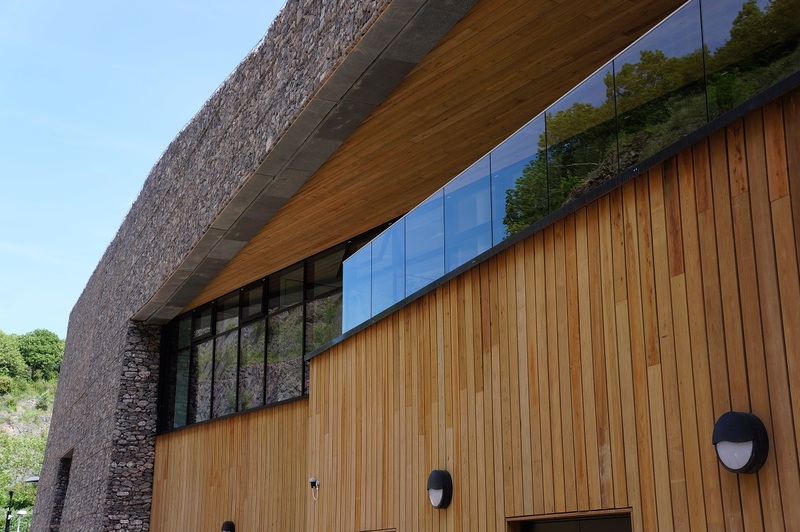 We’ve been working with timber cladding for over 40 years and have seen first-hand how some of the world’s top architects leverage this material to create stunning buildings. Here at NORclad, we want to share with you our experience and insights into timber cladding and illustrate why it’s a material that should be the first thing written down on any building project wish-list. For help deciding what timber cladding to choose from, make sure you get in contact with our friendly team. We can take into consideration what you want to achieve and with what kind of budget, and ensure you understand everything you need to know. We also have lots of resources and articles discussing different timber species and tips for using cladding on our website, so make sure you utilise all of that to give you potential ideas on what’s possible. To help provide some ideas in terms of getting started with timber cladding and with different species and designs, we’ve set out some interior and exterior wall cladding ideas below. This provides a very small sample of just some of the ways cladding can be used. If you like a certain design, colour, shape, or idea, then our team can help you create something similar for your own build. Timber cladding as an interior wall feature has become increasingly popular in recent years. From reclaimed wood to stunningly sharp cedar, interior walls can be brought to life with timber cladding. As more and more buildings opt for open plan spaces, the ability to create distinct areas of a larger overall space can be vital in making it feel warm and welcoming. Cladding a particular area can help define that space. Whether this is in a home or commercial building, this idea can be applied to any building. It can also be used to connect different spaces and help create more flow between spaces. For example, the interior cladding may match the cladding in a car park to help create a more unified character for a commercial building. When using timber cladding for interior design, you may want to think more carefully about the stain or paint you are applying. This will hugely impact how it feels within an indoor space. For help getting started with interior cladding, check out our guide on how to use interior timber cladding. Regardless of whether you want a rustic finish or a sleek modern look, interior timber cladding can offer the perfect solution. Timber cladding provides a range of benefits for exterior use. It is a durable, sustainable and long-lasting material. It is also very cost effective as well as having much better eco credentials than other materials. There are also many timber species to choose from, all of which carry slight advantages for specific conditions. This means architects and designers can leverage certain characteristics and properties of certain species to deliver superior results. From some building designs, a durable species that can withstand the elements may be preferred. In other instances, a species that delivers a certain appearance or flexibility may be the better option. The advantage of timber is that you have these multiple options, depending on what you’re trying to achieve. When using exterior timber cladding, architects and designers can think about how they want to develop the façade and character of a building. Many commercial buildings only get seen as being a shell to home a business. This results in boring designs that lack any value to a local area. Timber cladding provides opportunities for these types of buildings to give off a real personality and character through designs that complement and reflect local environments and heritage. Homes in need of refurbishments can benefit greatly from getting external cladding wrapped around the house. This can instantly bring it back to life and make it a desirable investment or place to live. Another idea for using timber cladding is to utilise its ability to create specific shapes, angles and dimensions. This can help turn blank walls into interactive designs that give a real presence to a building. If you want a building that people remember, then ensuring the exterior offers interesting designs and shapes is a must. The image below is taken from our gallery and illustrates how a building can create a very memorable and striking exterior, just through some clever cladding design. For more ideas around how exterior cladding impacts the whole building, check out our videos that use drone footage to showcase how timber cladding integrates and contributes to the whole look and feel of a building. If you’re looking to get started with timber cladding and want advice on where to begin, simply get in touch with NORclad today. We’re a timber cladding specialist merchant that is wholeheartedly focused on creating stunning buildings that utilise timber. We work directly with you to help ensure you end up with a building that over-delivers on your expectations. Our experience means we are perfectly positioned to help you get the most out of timber cladding.